Give your seminars, incentives and business meetings a change of scenery whilst still being in the heart of the city. Whether it’s a half or full day intensive seminar or one that mixes work with fun activities, Hotel Fort Canning provides the ideal avenue. We ensure that your working sessions are key moments, successfully combining efficiency, enjoyment and discovery – let us organize your events for you! Rates listed are per person per day and subject to 10% service charge and prevailing government taxes. 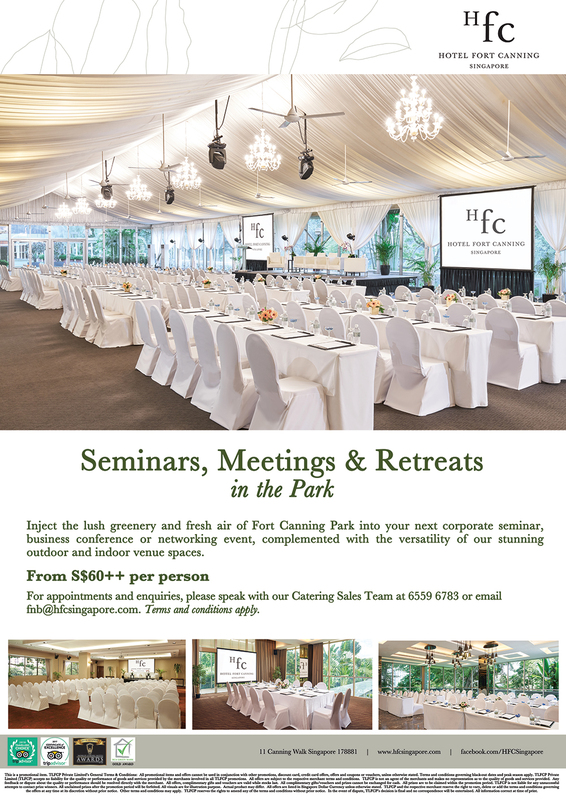 For more information, please speak with our Catering Sales Team at 65596783 or email fnb@hfcsingapore.com.